The town board of Saguache voted to explore a solar array called a Community Solar Garden. This quiet mini-power plant, built with ordinary solar panels, would be located on an acre or two of reclaimed land at the old town dump, out of view. Brandon Williams of the Solar Gardens Institute presented the plan to the trustees. The 7-0 vote will allow the board to consider a letter of intent between the town and the Solar Gardens Institute in the future. A Solar Garden is owned by community members, and can provide power for "subscribers" with shaded property, or who qualify for LEAP. Here in Tree Town USA, with the best sunshine in the state, this would be an attractive option for the Town buildings and for many homes. We would use local contractors and workers whenever possible. The Saguache Alliance for Green Energy (SAGE), a partnership between the town and ScSEED (Saguache County Sustainable Environment and Economic Development) has been working closely with the Solar Gardens Institute to make this a reality. 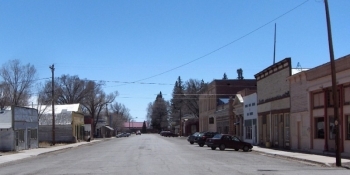 I founded SGI here in Saguache just last year - now it is becoming a national organization. This would be a grassroots solar plant that we build and own ourselves, that supplies power and jobs for our own town.